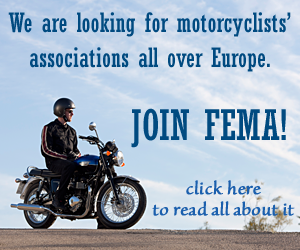 Home > FEMA news > Can solar panels save motorcyclists’ lives? A consortium* developed and installed 72 metres flexible solar panels on ordinary steel W-beam guardrails in the Dutch province of Noord-Holland, about 25 kilometres north of Amsterdam. The result is an almost smooth, slightly curved top between the W-beam rails as is shown in the picture below. The crash barrier with electricity generating foil. 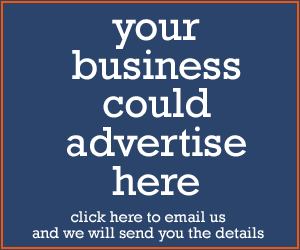 Alternative use – The intention is purely to experiment with an alternative way to generate electric power. However, we at FEMA have a twisted mind and we didn’t see solar panels, we saw a motorcyclist protection system. Over 50 percent of the crashes of motorcycles with road restraint systems, some research studies even speak of 60 percent, are with the motorcyclist still sitting on his bike. So yes, a smooth topside of crash barriers is important to avoid serious injuries or even casualties. And a motorcyclist protection system that potentially could earn itself back by producing electricity, how cool is that? With this in mind FEMA contacted Heijmans to ask some questions and after having visited the test site to have a look himself, FEMA’s General Secretary Dolf Willigers visited the Heijmans offices to discuss this alternative use of this construction with Innovation manager Vincent de Waal. 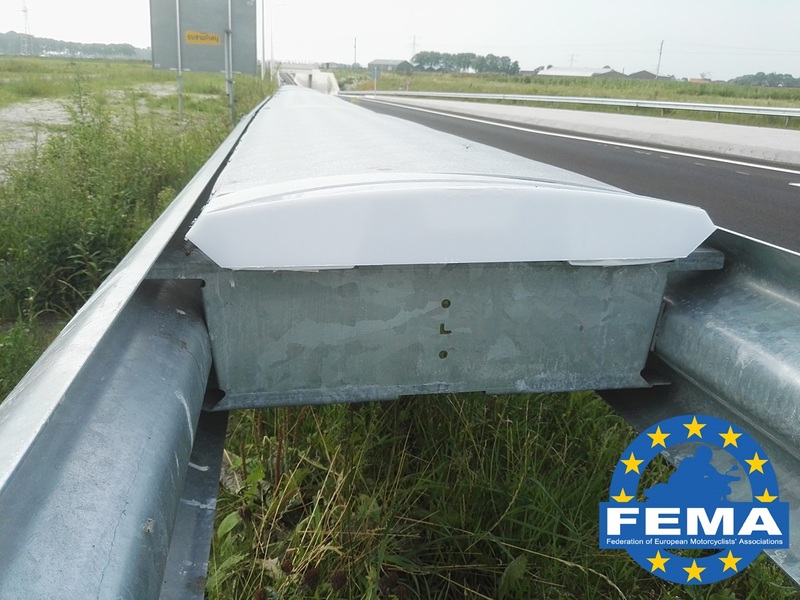 Safety device – What we in particular wanted to know was how the solar panels (in fact more a foil) were attached to the crash barrier, the view of Heijmans on the alternative use, and of course the chances of full scale production. 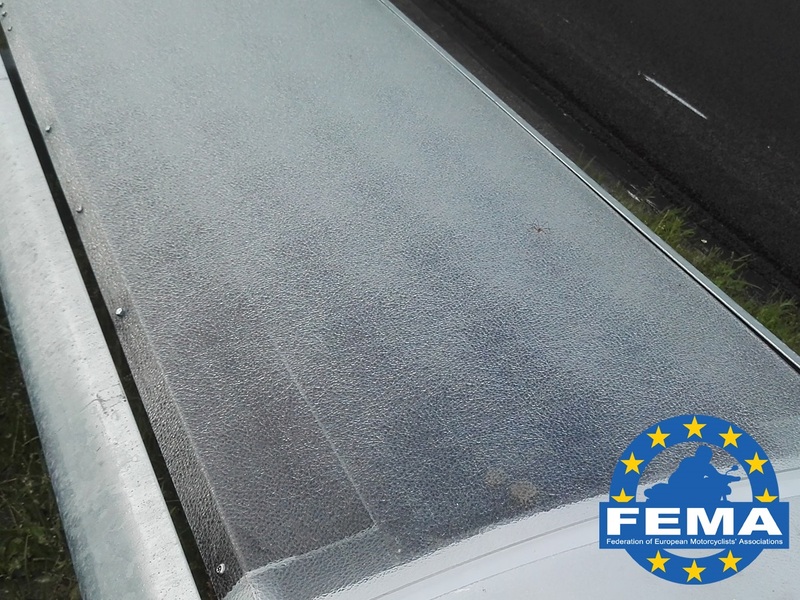 It turns out that the electricity generating foil is attached to a plastic profile and covered with a strong see-through polycarbonate layer (see picture below). The plastic profile needs to be strong enough to carry the weight of a man: for safety reasons a person should be able to climb over the crash barrier in case of an emergency. This brings us to another safety issue: for elderly people it is almost impossible to climb over many of the present constructions. With a smooth topside, it is still very difficult, but it can just make the difference. However, we look at it with motorcyclists’ road safety in mind and what we see is a flexible and smooth construction, that does not affect the restraining capacity of the crash barrier, should be quite cheap to manufacture and is easy to install. The electricity generating foil is attached to a plastic profile and covered with a strong see-through polycarbonate layer. Safe voltage – Vincent de Waal of Heijmans explained that a voltage below 50V AC or 120V DC is considered as a safe voltage. The voltage in the panels is not higher than 48V DC and therefore considered as safe. As said above, the solar panels generate electricity and this way the whole construction earns itself back. Testing – We also discussed situations like bends and the attachment of signs to the guardrail. There shouldn’t be any problems here. It isn’t necessary to test it according CEN 1317-5 (the strength test), because the nature of the flexible plastic profile is such that the working of the original construction is almost certainly not affected. And to test it as motorcyclist protection system (CEN TS 1317-8) is not possible yet, because only the under slide motorcycle protection system is described in Technical description TS 1317-8 (this is something FEMA is working on again, together with the CEN Technical Commission 226 (working group 1)). Is this the perfect solution? We don’t know yet: the test in the Netherlands will run for a year and has just started. Also, it is aimed at the production of electricity, not at its merits of saving the lives of unfortunate motorcyclists that crash into the barrier or motorists that have to climb over it to find a safe place in case of an emergency. If this part of the test is not successful, there will be little need for Heijmans to go into production and there will probably be no further testing. Unless of course the European Commission’s Third Mobility Package that was published in the summer of 2018 will lead to a substantial demand for crash barrier topside motorcycle protection systems. As said before, there will be a need to test the construction as a motorcyclist protection system as well. We agreed to stay in contact with Heijmans and we will follow the current pilot. Finally, we will discuss possible test protocols with CEN and we will keep working to raise awareness of the importance of topside protection systems and voice the demand for them. * The consortium: The Dutch province Noord-Holland, TNO, Solliance Solar Research, Femtogrid, Amsterdam University of Applied Sciences (Hogeschool van Amsterdam) and construction company Heijmans.